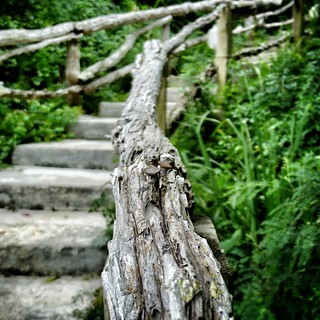 One of several pathways down to a beach in Bermuda. Bordered by lush plants, especially hibiscus. Rough handrails though!